The plague was something you you lived with – or died with – in the 17th century. It had been around for 300 years. It could strike anywhere. Without warning. With little remedy. This new play by Matt Hartley at Shakespeare’s Globe explores what happened to the people of Eyam, a Derbyshire village of some 350 inhabitants, when plague arrives shortly after the new Minister and his wife. 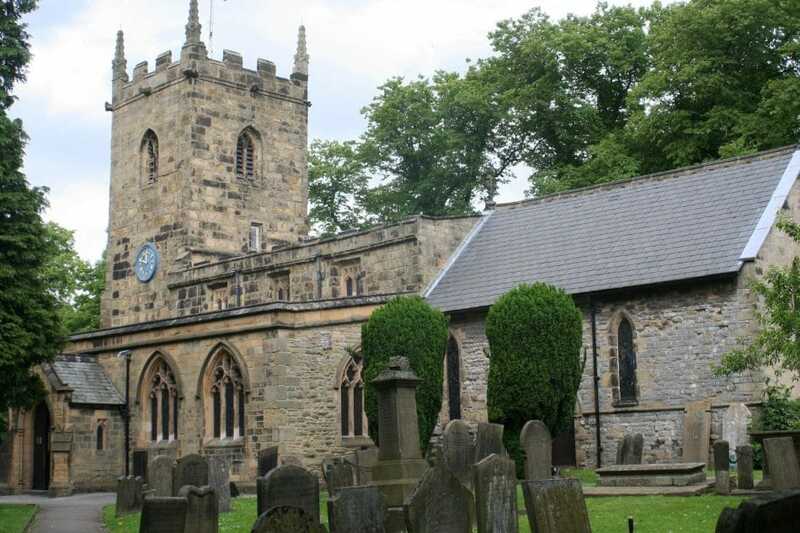 The play is a factual account of the decision of the villagers to stay in Eyam, quarantining the village. 260 villagers died but it is estimated that they saved many thousands more by not spreading the disease throughout the neighbouring towns and villages. And therein lies the strength and weakness of the play. Sufficient facts are known of he people and personalities to ground this telling in the solid history of the events. And there is sufficient unknown to allow a rich development of the moral dilemma and debate leading up to a decision to stay or to flee. The enormity of this single collective decision is a powerful tale. But this central element of the story was given cursory attention. The new minister says no-one should leave until 28 days after the last death from plague. Everyone nods. Moral dilemma sorted. Many of the characters themselves are well enough drawn. Reverend Mompesson (Sam Crande) and his wife Katherine (Priyanga Burford), the Gravedigger Marshall Howe (Howard Ward), and the unfortunate newly arrived tailor’s assistant George Viccars (Jordan Metcalfe) who brings the plague flea in damp cloth ordered from London are all central to the unfolding tale. Back-stories – invented or based on fact – are given to virtually all in order give life to a dying village. But the chance to develop the collective decision to choose quarantine, to chooses almost certain death was badly missed. Matt Hartley gave the village a pantomime villain, a landowner trying to intimidate people into selling him land. (It was for a new dress for his wife that Viccars ordered the bolt of plague infested cloth). Our villain did enable some threads to be drawn together, but this was no Alan Rickmanish serpentine bad guy and there may be opportunities to strengthen this character as the season progresses. Having said all that this was a well delivered story as far as it went, and the humour sat realistically alongside the pathos. The final roll-call of the 260 villagers who lost their lives was breathtaking. The play is worth seeing for this alone.